What are The Hymn Society’s aims? Is The Hymn Society a denominational Body? No. It is a fully inclusive organisation, its membership being open to anyone who has an interest in hymns. 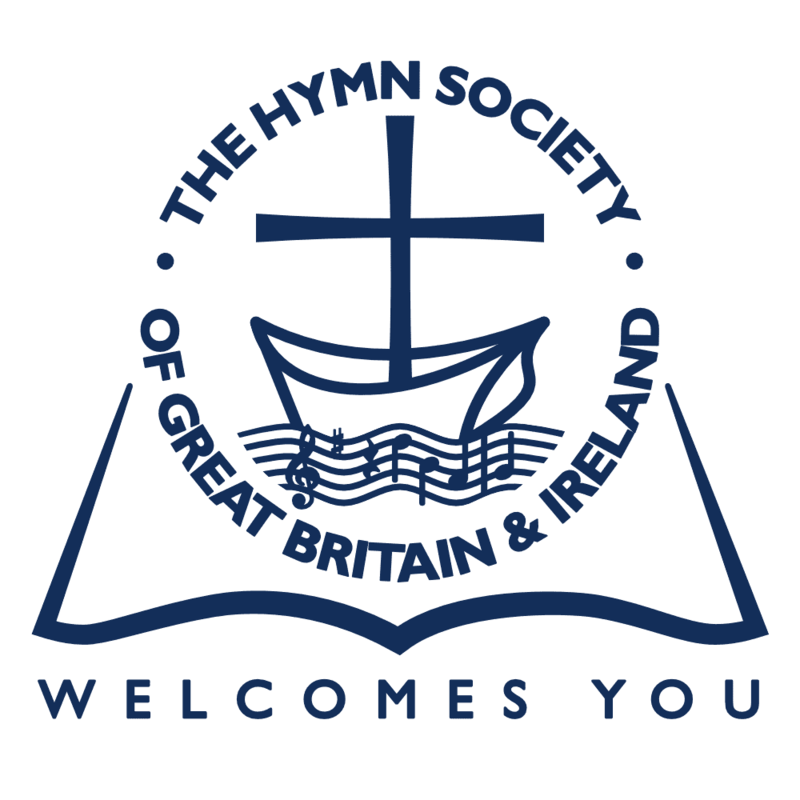 What is the value of membership of The Hymn Society? Members receive a quarterly Newsletter and Bulletin containing a wide range of articles on hymns and hymnody, book reviews and reports of events. Occasional Papers dealing with specific topics in greater depth are published separately (usually one a year). There is an advice service available for hymn texts and tunes. With a history going back to 1936, the Bulletins – all of which are in print – provide a unique record of the story of hymns and hymn books in Britain and elsewhere. Membership of The Society also enables members, should they wish, to become members of our sister Societies in Europe, and the United States and Canada. Members are invited to an annual three-day Conference at the end of July, with eminent speakers, workshops, and a Festival of Hymns. This is an excellent opportunity to meet leading figures in the world of hymnody, and usually attracts 90-100 members. There are occasional regional events. Information is also circulated about international conferences with our sister organisations in Europe, the United States and Canada. The annual subscription within the UK is currently £22.00 for individual members, £27.00 for couples, and £10.00 for full-time students. Separate rates apply to Mainland Europe and the Rest of the World. You can sign up for a subscription immediately with PayPal whether you have a Paypal account or not here. If you prefer to use the postal service, the Secretary will be glad to hear from you. Simply print off and fill in the application form indicating the type of membership you require, detach it, and post it to him. If you would like more information first, the Secretary is always pleased to answer any queries you may have and send you a recent copy of the Bulletin. And finally, why do we sing hymns? We are now able to accept instant membership subscription via PayPal. Please click here to create your membership account, after which you will be able to pay for your subscription. The Hymn Society is ecumenical, its members being drawn from a wide spectrum of Christian tradition and practice. Members come from all over the world and include leaders of worship and church musicians, writers of words and tunes, people interested in editing hymn-books, scholars and researchers, as well as those simply wishing to use hymns with greater understanding. The Hymn Society is administered by an executive committee. Members receive the quarterly Bulletin and Occasional Papers. These contain a wide variety of articles and reviews as well as news and correspondence – all of these providing a unique record of the progress of hymnody for more than half a century. Back numbers (all of which are kept in print) and classified Indexes to the first sixteen volumes, covering the period 1937-2002, are available for purchase. An annual residential Conference is held in a three day period in July. This consists of lectures and discussions on hymnological topics and hymn-singing is a prominent feature. The Conference culminates in an Festival of Hymns, usually in a local church, chapel or cathedral, when all present enjoy singing hymns often linked to a specific theme or occasion. The Society maintains links with The Hymn Society in the United States and Canada, and with the European-based International Fellowship for Research in Hymnology (International Arbeitsgemeinschaft für Hymnologie). Friends from both these organisations attend our conferences; they in turn welcome our members’ participation in their own gatherings. We also maintain links with the Royal School of Church Music. Members of the Society may also subscribe to IAH (our sister Society in Europe) and/or The Hymn Society in the United States and Canada at special rates. Personal subscriptions may qualify as Gift Aid for UK income tax purposes, enabling the Society as a Registered Charity to claim a tax refund. Members who pay UK Income Tax are encouraged to help the Society in this way. Further details may be obtained from the Treasurer. Subscriptions can be made on PayPal, Bank Transfer, Standing Order or by cheque on a UK bank, in pounds sterling (GBP).